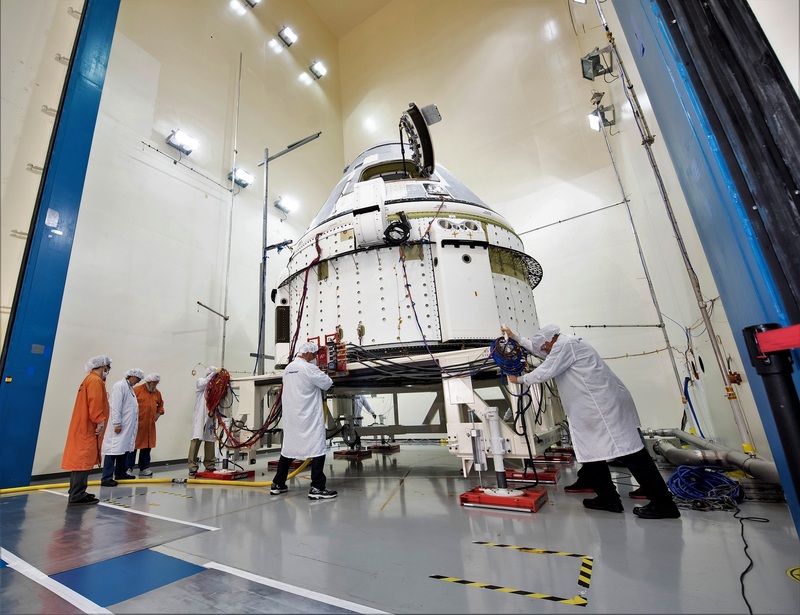 NASA today confirmed that the first uncrewed test flight of Boeing’s Starliner space taxi to the International Space Station would be delayed until at least August, and also said the first crewed flight would be extended into a long-duration mission. In a news release, NASA said August was a “working date” that would have to be confirmed later, based on further testing of the spacecraft. NASA said the decision to shift the date was guided by limited launch opportunities during the previously planned April-May time frame, as well as planning requirements for the launch of the AEHF-5 military communications satellite for the Air Force in June. Boeing’s first crewed test flight of the Starliner to the space station was reset for no earlier than late 2019. This entry was posted in GeekWire and tagged Boeing, Commercial Spaceflight, International Space Station, NASA, Space, Starliner. Bookmark the permalink.